i picked them up locally brand new in a wrecked titan purchase. 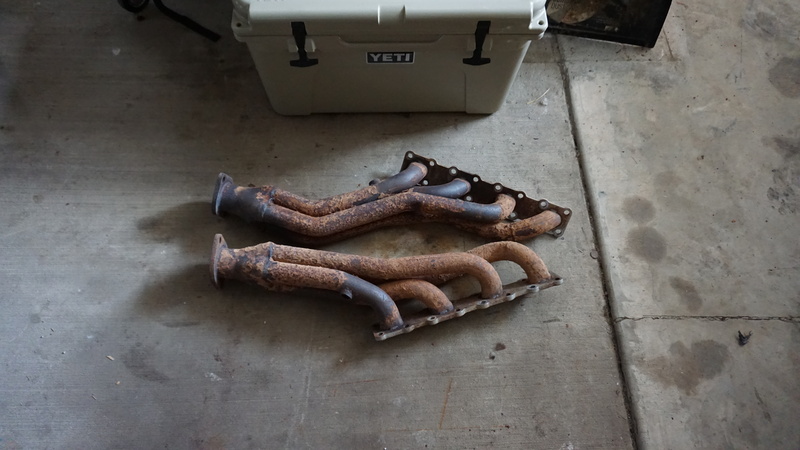 put them on my frontier V8 swap. i dont like how loud they are, the smell, and i had some minor contacting issues on my frontier. i also didnt like the O2 bung was in a single cylinder and im not going to run extensions. asking 300$ shipped. will clean the dirt off before shipping. i ran them on the truck for about 8 months maybe? V6 is blown, sourcing parts for VK Swap. they are ebay special, modeled after the JBA brand. still in great condition, just need cleaned up and out of my garage.